The tax code allows individuals to claim itemized deductions for personal casualty losses — but the Tax Cuts and Jobs Act (TCJA) places a new restriction on these deductions for 2018 through 2025. Here's what you need to know in case you suffer a personal casualty loss. Subtract $100 per casualty event. Combine the results from the first two steps and then subtract 10% of your adjusted gross income (AGI) for the year you claim the loss deduction. AGI includes all taxable income items and is reduced by certain deductions, such as the ones for student loan interest, health savings account (HSA) contributions, and deductible contributions to IRAs and self-employed retirement plans. You can potentially deduct the loss that remains after these subtractions as an itemized deduction. For example, suppose you sustained a $50,000 loss to your home (after considering insurance reimbursements) due to a federally declared disaster in 2018. Your AGI for last year was $150,000. Your deductible loss is $34,900 ($50,000 – $100 – $15,000). However, if your loss wasn't due to a federally declared disaster, it wouldn't be deductible under the Tax Cuts and Jobs Act (TCJA). See main article for details about this unfavorable TCJA change. Important: For 2018 through 2025, it's harder to itemize because the TCJA almost doubled the standard deduction amounts. For 2018, the standard deductions are $12,000 for single filers, $18,000 for heads of households, and $24,000 for married joint-filing couples. For 2019, the standard deductions are $12,200, $18,350, and $24,400, respectively. So even if you qualify for a casualty loss deduction, you might not get any tax benefit for it because you don't have enough itemized deductions. The tax code potentially allows individuals to claim federal income tax itemized deductions for casualty losses to personal-use property. The term "casualty" means damage or destruction of property resulting from an identifiable event that's sudden and unexpected (not gradual or progressive). The decrease in the property's fair market value (FMV) due to the casualty event. Not surprisingly, the decrease in FMV (if any) is a frequent point of contention between taxpayers and the IRS. The disaster loan appraisal method. The contractor and disaster loan appraisal safe-harbors method are available only for personal residence losses due to federally declared disasters. The replacement cost safe-harbor is also available for measuring casualty losses under $5,000. It's available for personal belonging losses due to federally declared disasters. When you use one of these safe-harbor methods to measure a personal casualty loss, the IRS can't question your calculation. 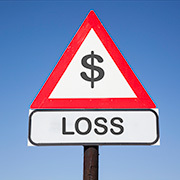 Ask your tax advisor for more details on measuring losses under these methods. For purposes of eligibility for these safe-harbor casualty loss calculation methods, the term "personal residence" doesn't include any property that you've used as rental property or any property containing a home office used in a business. Condos and cooperatives don't count as personal residences if you don't own the structural components (such as the foundation, walls, and roof) or if you own only a fractional interest in the structural components. Trailers and mobile homes also don't qualify. The term "personal belongings" doesn't include cars, SUVs, trucks, vans, motorcycles, boats, aircraft, mobile homes, trailers, RVs, or off-road vehicles. Antiques and other assets that maintain or increase their value also don't count as personal belongings. For losses incurred in 2018 through 2025, the TCJA generally eliminates deductions for personal casualty losses, except for losses due to federally declared disasters. However, there's an important exception: If you have personal casualty gains because your insurance proceeds exceeded the tax basis of the damaged or destroyed property, you can deduct personal casualty losses that aren't due to a federally declared disaster up to the amount of your personal casualty gains. When your casualty loss is due to a federally declared disaster, a special election allows you to deduct the loss on your tax return for the preceding year. If you've already filed your return for the preceding year, you can file an amended return to make the election and claim the deduction in the earlier year. This election must be made by no later than six months after the due date (without considering extensions) for filing your tax return for the year in which the disaster occurs. However, the election itself must be made on an original or amended return for the preceding year. Your overall tax situation in the casualty event year and the preceding year. From a federal income tax perspective, the most important factor is usually your AGI in those two years. Your tax advisor can help you decide what's right based on your situation. If you have a significant disaster-related loss to personal-use property, your tax advisor can navigate the complicated rules and prepare your tax return for the year you claim the deduction.